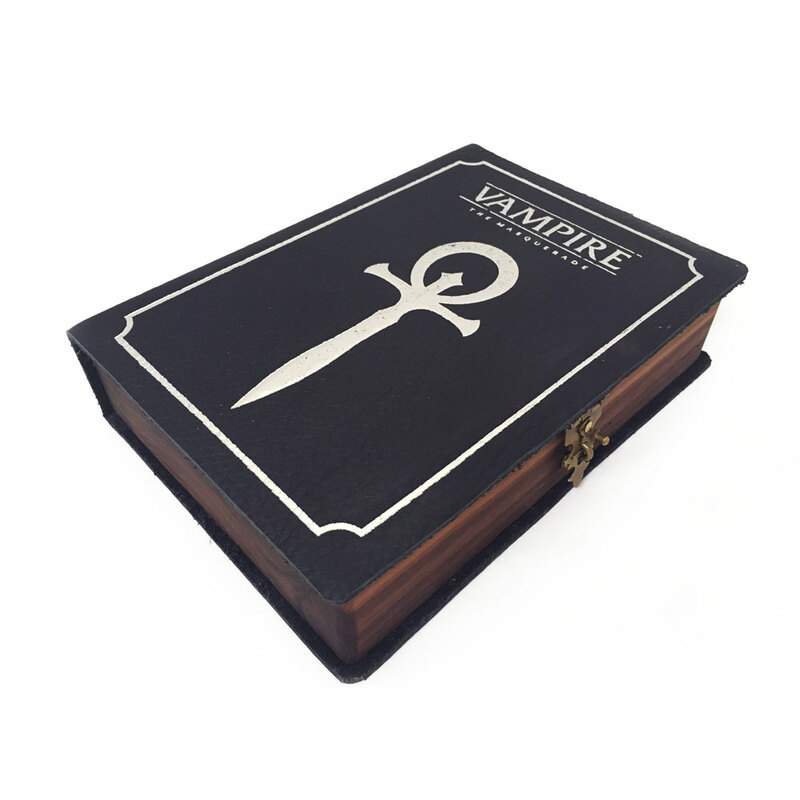 Bring a part of the World of Darkness into the real with your own Vampire: the Masquerade Spellbook. These unique Spellbooks are carved out of dark walnut, bound in onyx leather, and emblazoned with your clan's sigil. Your arcane tome is lovingly crafted in natural, living materials so each one is irreproducibly unique, designed to contain everything you need to immerse yourself in the story. Whichever clan you align with, each Spellbook is adorned with foil-pressed art and includes a steel accent to use as a whiteboard as well as a removable foam insert to organize your gear. 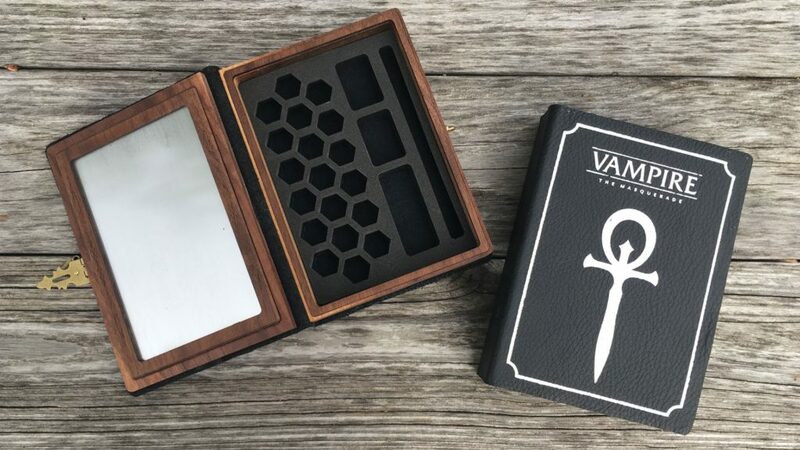 All official VtM gaming gear comes with exclusive V5 Loresheets for Geek & Sundry's LA BY NIGHT, a live-streamed tabletop RPG series featuring the new 5th edition of Vampire: The Masquerade. Jason Carl (White Wolf Head of Community) will take Geek & Sundry’s players and viewers through a world rich with adventure, intrigue, and political machinations as creatures of the night battle or bargain for supremacy in modern Los Angeles. The eight-episode series will be streamed every Friday night beginning on September 14th at 8pm PDT on twitch.tv/geekandsundry and projectalpha.com. NOTE: To avoid spoilers for the Geek & Sundry live-streamed series, Loresheets will not be distributed until after the final LA BY NIGHT episode on Friday, November 2nd, 2018.